In case you haven’t added any data source yet and need to do it quickly, use “Quick Add” button in “Quick add data source wizard” block. 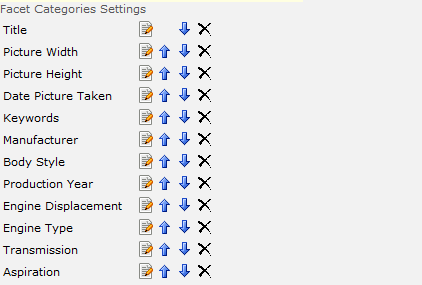 Then select data source (for instance, a SharePoint list), define site and list, then click “Generate”. The list of facet categories will be generated automatically (mapping will be performed automatically as well) so you have no need to map fields manually. Click “Add new” to add more data sources as it is described in previous sections.